We've come to the final week of our Trolls fun. How do you like the new Wonder Kids Section so far? Im getting some great feed back from it and the overhaul is not finished yet. I have a few more ideas but I think they may have to wait until next year now. Next week we start a brand new theme and I think it could be one of our most popular yet! First, this week I have these great Trolls Desk Buddy's. They make any kids desk look great and are loads of fun. Sign up with your email address and be prepared for the school holidays. I will send some great easy ideas to keep the kids amused at home during the school holidays. Print and cut out the Poppy & Guy Diamond templates below. Fold two plates in half. Glue Poppy and Guy Diamond's faces along the fold. Then trim the additional by their ears. Glue the Troll's hair parts to two additional plates and cut off the excess. Glue behind the Troll faces. Use a fun paper or felt to add texture to Poppy and Guy Diamond's hair. Add a stand to the back if your Troll needs extra support. Display on your desk and add more Trolls to the collection. Just click on the picture below for your free templates. 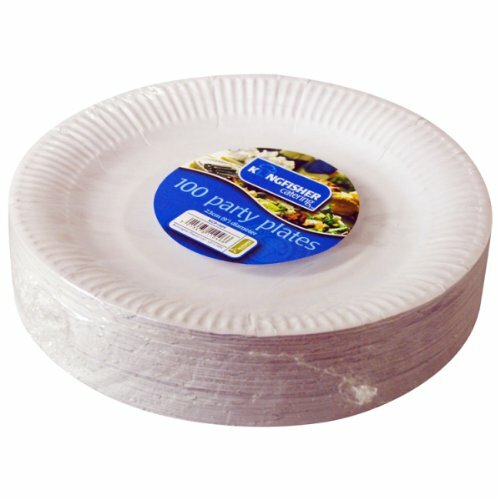 If you are already stocked up on glue/pens then just get this great pack of paper plates here to save you time travelling to the shops. It's a large pack but just search this blog a little and you will soon find dozens of crafts and games you can try with paper plates. Hello and welcome to November at Wonder Kids, I hope you have all enjoyed the October half term and Halloween. If you're a regular reader of this blog than you'll know about Halloween Havoc, this was the first time I have held my very own Halloween Party where I teamed with John Johnny, another great entertainer to put on a Halloween Party like no other. Take a look at the social media below to see videos and pictures form the event. This week I'm going to show you how to make your own Trolls Glitter Pencil's, during the Half Term I took my daughter to see trolls and we really enjoyed it. The film is pretty good, don't worry I don't think it will explode like Frozen did but its not a bad film. This craft is great because it's super cheap to make, only takes a few minutes and once you're finished you have a really cool pencil that your little ones will be desperate to get drawing with. Carefully wrap the glitter tape around the pencil. This really helps if you have a thin roll of glitter tape. I know Duct tape make some great glitter tape but it tends to be really wide so you may need to cut it in half. Trim the edges so they are super neat. The craft feathers you should be able to find at any craft shop but I got a bag of mixed colours from my local HobbyCraft. Use a least two of the same colour per pencil and use the glue gun to stick them to the top of the pencil. Once that has dried use the glitter tape again to wrap a small piece around the top of the pencil to hide the glue and base of the feathers. Now you are all done. Why not print out some Troll's colouring pictures, just click on your favourites below.